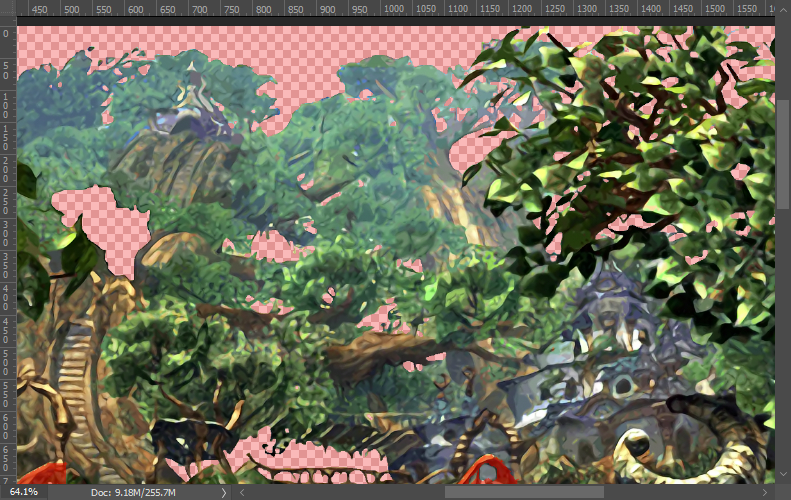 I've started on a Backgrounds replacement mod for FFIX for quite some time now and I'm finished around 50% right now. Here's a quick video of an early WIP. The mod will be compatible with Hades Workshop and I'll try my best to implement it in Memoria as well. Everything is going smoothly, still I can't give out an ETA. - Backup in your FFIX install directoy under "StreamingAssets" the bin files p0data11 till p0data19. - Backup in x64\FF9_Data\Managed the Assembly-CSharp.dll file. - Download the 7z and unpack it directly into you Final Fantasy IX install directory where "StreamingAssets" and "x64" sit. If you don't want to use it anymore just copy over the old bin files as well as well as the Assembly-CSharp.dll. I know Meru is working on the Backgrounds, too. As he's using a complete different tool set that I'm and we also have other ways of implement the mod, we're not collaborating in any way so please don't ask. A little video wip of course. What files does the background mods replace? I've finished almost all on disc 3, should be around 70% completed and I learned a lot on mask on the way. I also neglected some things on disc1 and will probably come back there to fix them... But that is not related to masks, I only do masks for like 1 background per zone, and sometimes not even full background. I tried various things for masks but they still don't match the hand-made ones. I'll make some more tests today regarding that and hopefully I get a perfect mask. I'll let you know if it's feasible to do. Perfect one is not possible (only if hand-drawn) because upscaled image is too big and too distorted. Even original PSX masks are far from perfect. But they work there cause of overally low resolution. Personally I will still be doing most of them after all the backgrounds are in. I'm trying another solution which needs an in between step but initial test are promising atm. How do you use the PSX masks as a background btw.? When I import them via HQ I have gray seams everywhere (atm). I think you misunderstood. I do not use them I said they are bad. Most of the time I keep PC masks. The plan was to do the masks as a 2nd pass. Edit: but PC masks are beyond help. I wouldn't want to even touch them. The only place for them is a trash bin. What do you think, Meru? It's not perfect, yeah but still better then PSX as well as Steam seams (at least for my taste). I've to test them in game but at least from the picture the masks seems very fitting. I meant the steamfiles. Like p0data5.bin or something. I think this looks something like 4x nearest neighbor + Smooth 3px + Expand 2px applied to the PSX mask or something close to that. I can say that photoshop itself, unfortunately, does not have anything that is capable to produce mask that will satisfy me. There is other software that _sometimes_ can, but only sometimes. The thing is that I don't want to draw the mask and automate as much as I can or else this Mod will never be released. Like we say here in Germany: One death you have to die. Or "You will have to opt for the lesser evil." The PC seams are ugly, let's trashcan them ASAP. PSX is too blocky but at least way better then the PC ones. I'll give it some further testing with leaves and fine detail and see how it goes. Yea I agree with that. This is exactly why I decided to do these masks, transparent objects and text as a 2nd pass, how good they will be done will depend on how much motivation I have left. It could be that I'll end up using some more automated thing too. I can't say for sure. But at least like 5% will be hand-drawn anyway. I'll try that out tomorrow. Today I tried the field with the weeping blossoms (I'm in bed and forgot the name of it) and it looked ones really good. At least better as with psx and pc seams. It still needs some tweaking but I'll give it a try and test it ingame. I didn't test summit,will do that today. But I tested other fields and the result is a little bit better then using the psx mask 1:1 but on the other hand other things gets worse. Still I'll go with that approach now as it doesn't need a lot more time. Maybe I can write a phyton Script do to the daunting tasks. This time it preserves more of the details and I like it more then the old one. I have to redo some older images too. Not sure how much. Sometimes I just skipped something, sometimes it was pretty hard to figure out what part comes from where (because image was exported "by depth") and I probably made some mistakes there. Some gears in Lindblum is a one example of that. I know what you mean regarding the depth. 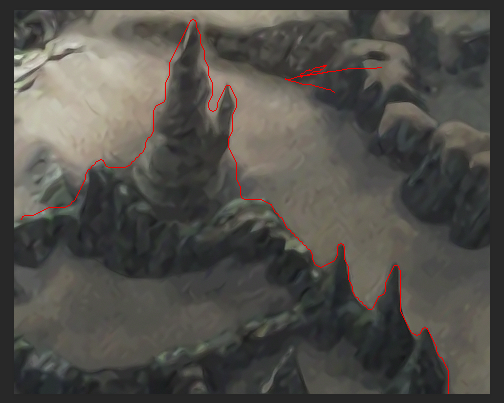 I also looked over a let's play to see how things work so I know what to push to the foreground for filtering. I also tried to fix several area like the both engine rooms from prima Vista. The psx / steam version got some layers wrong and animation is playing behind another where it shouldn't. I testes now with Dali Fields (the first with the Scarecrow and it looks good to me. Better as with the PSX seam but yeah, handmade would be awesome³). Right click and open in a new tab or window to get it maxed out. Do you like the results in case of Summit? Many of these white spots should be transparent. If you think the average player stays 10 seconds there, yes I find it okay. Hand drawn is better but that's not what I opt for now. At least it's better as with the standard seams. So it's kinda hard to prioritize these things sometimes. Yeah it's basically the same on my end as I'm doing it primarily for me. I think I'll do a second pass whatsoever and fix the seams as good as I can.